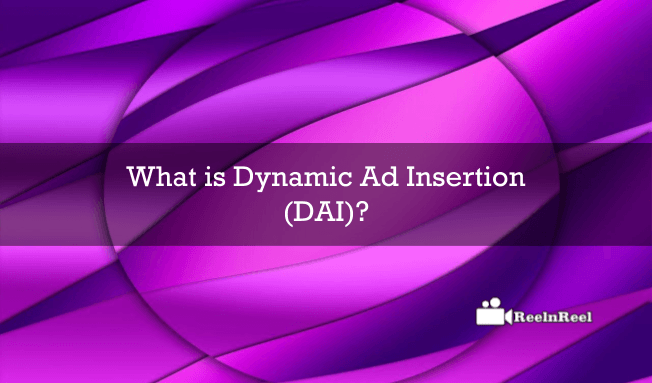 Home » Video Marketing » What is Dynamic Ad Insertion (DAI) ? There are some millions of videos on the web, and it is continuously expanding its number which affects potentially on monetisation. Monetization is very complex for publishers and other companies to reach the goals. The complete guide to Dynamic Ad Insertion is given here. The ad blocking software is another challenge for the marketers and advertisers to reach the people. The dynamic ad insertion can provide a better solution for the ad blocking online. Dynamic ad insertion allows the publishers for stitching the ads and enables the better seamless viewing experience for the viewers. The Dynamic Ad insertion has a variety of benefits which saves your money while handling the media processing and workflow. It also helps the publishers to get better ad server support and simple ad breaking insertion. It also supports HD and SD content quality which also balance the audio levels for the ads. Dynamically inserted video content can get high value and targeted with the interactive ads with the server side dynamic ad insertion which has the capability of prevention of buffering and spinning of video content. So it is the complete solution for the monetization of both live streams and video on demand across different screens and as well as different devices. • It can surge the demand of the consumers at anytime from anywhere and allocates the content across multiple devices. • Provides new content monetization ecosystem and unlock the OTT and other cloud inventory. • Ensure better ads without repetition and never stale. • Increase the high value and customer relevant and interests based advertising. • Provides the comprehensive, linear and nonlinear campaign management. • Get integrated with the business objectives and rules. • Prevent the susceptibility and fraud clicks. Personalized advertising mainly depends upon the user interests basing on their purchase activities and interests showed on different platforms while consuming the content online. The advertisers can reach the users basing on demographic targeting. When comes to dynamic ad insertion, it plays an integral role in the video monetization for Pay TV and other content programmers as well as the video providers. The ad insertion can increase the advertising opportunities which allow the targeted ads to be swapped out across the most famous VOD platforms. Different types of ads can be inserted through pre roll, mid roll and post roll formats. The placement of these ads can make a great difference in demographic data and the history usage for the present users. Dynamic ad insertion can be very helpful for the live video where the user can get complete control over the live video with the dynamic ad insertion. The scalable and flexible monetization can be integrated on the server side which provides better viewer experience to targeted audience and leads to higher engagement rates. This helps the live video reach and better results for the marketers across the globe. The ad that is dynamically inserted can bring you great conversion rates to your business. Dynamic ad insertion is comparatively very easy for the Over the Top, OTT applications. The dynamically inserted ads play a crucial role because it can ensure seamless ads with definitive playback that renders huge consumers to watch the ad across multiple devices. So publishers vote for dynamic ad insertion. Dynamic video ad insertion for VOD advertisers can allow the advertisers to target the campaign to make it more effective. It can be considered as a good investment for the marketers to reach their big goals. So marketers are adopting the Dynamic ad insertion strategies in their Video on Demand practices. Even the cable providers can also connect with the dynamic ad insertion for insertion of the ads in various channels in VOD content. The ad length is varied from 15 seconds to 60 seconds. The dynamic ad insertion can handle the workflow and saves money and time for advertisers and marketers in VOD. When it comes to VOD the dynamic ad insertion is significant as it can completely automate the production revenue that generated and increase the ROI. While using the Dynamic ad insertion in VOD the system must operate with a fully automated workflow to get the best output. The Dynamic ad insertion not only enables the relevant and updated ad insertion but also provide analytics and better measurement tools to know the effectiveness of the ads. DAI has a great strategic approach to the business policies of monetisation of VOD across different region and delivery network. People are utilising the Ad blocking software to relieve the ads. It is the biggest loss for publishers who lose their revenue from the ads. The dynamic ad insertion is very useful and helpful to the publishers to challenge the ad blocking software. The supportive server ads can withstand the ad blockers and helps you to reach the audience with your ads. The ad stitching is very important as video, and the other video ads come from various places from a content delivery network, and when coming toads, they come from the third-party ad servers. They will be included in the video content while people are watching the particular videos on the web. So, with the server side Ad stitching the advertising happens on the backend. The server-side stitching also helps in lower the buffering level while the video is playing.This enhances the better video experience. Finally, Dynamic video ad insertion is the best solution for ad blocking-challenged and reach. It is the best way to insert your ads in live, linear TV, OTT etc. in an effective way.